Nothing highlights and compliments the overall look and feel of a bathroom like the Simone I Seamless Freestanding bathtub from Acri-tec. Preferred by professional designers, a freestanding bathtub allows you to artistically position your tub for the best, most relaxing view, or to simply create more space. With ergonomically shaped, ultra-deep bathing wells, every Acri-tec freestanding tub is designed to provide the ultimate in luxury. Each Simone I Seamless Freestanding bathtub is hand-crafted using high-gloss, non-porous, stain resistant, white acrylic and offers completely hidden plumbing. To make installation easier, we've pre-installed four adjustable levelling legs to allow for irregularities in your floor without dealing with the complications of shimming. When you're ready to make a bold statement with a sophisticated design, choose an Acri-tec freestanding bath to create a beautiful, one-of-kind space. Make contemporary elegance your everyday experience. This freestanding bathtub incorporates seamless design with ease-of-use. cUPC certified, overflow drain included, and an easy to clean pure white acrylic construction. Symmetrical backrests and the sleek freestanding faucet with handheld shower make it a versatile addition to your home spa. The audacious curves of this bathtub command an appreciation of style. The freestanding faucet and handheld shower are separate from the bath, allowing for freedom of movement. 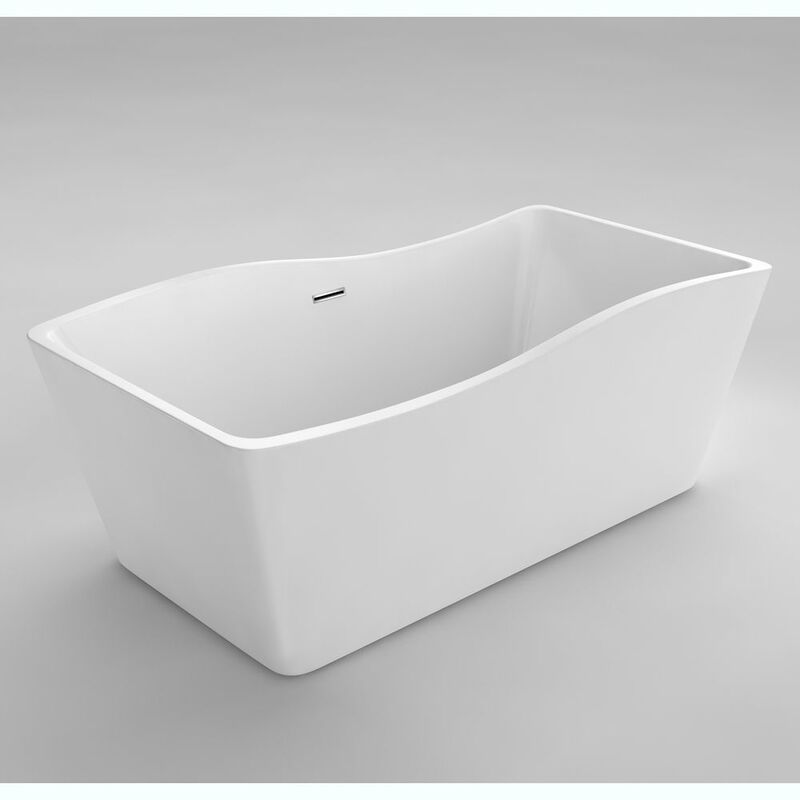 Pure white acrylic construction and a seamless design lend this tub chic contemporary appeal. Overflow drain included and cUPC certified. Rejuvenate, relax and renew your spirit in the Tofino Freestanding Tub from American Standard. Spaciously designed for deep soaking comfort. Its deep soak design and simple style bring soul-enriching comfort and peaceful beauty to any bathroom. Simone I 4 Feet 11-Inch Acrylic Freestanding Non Whirlpool Bathtub Nothing highlights and compliments the overall look and feel of a bathroom like the Simone I Seamless Freestanding bathtub from Acri-tec. Preferred by professional designers, a freestanding bathtub allows you to artistically position your tub for the best, most relaxing view, or to simply create more space. With ergonomically shaped, ultra-deep bathing wells, every Acri-tec freestanding tub is designed to provide the ultimate in luxury. Each Simone I Seamless Freestanding bathtub is hand-crafted using high-gloss, non-porous, stain resistant, white acrylic and offers completely hidden plumbing. To make installation easier, we've pre-installed four adjustable levelling legs to allow for irregularities in your floor without dealing with the complications of shimming. When you're ready to make a bold statement with a sophisticated design, choose an Acri-tec freestanding bath to create a beautiful, one-of-kind space.